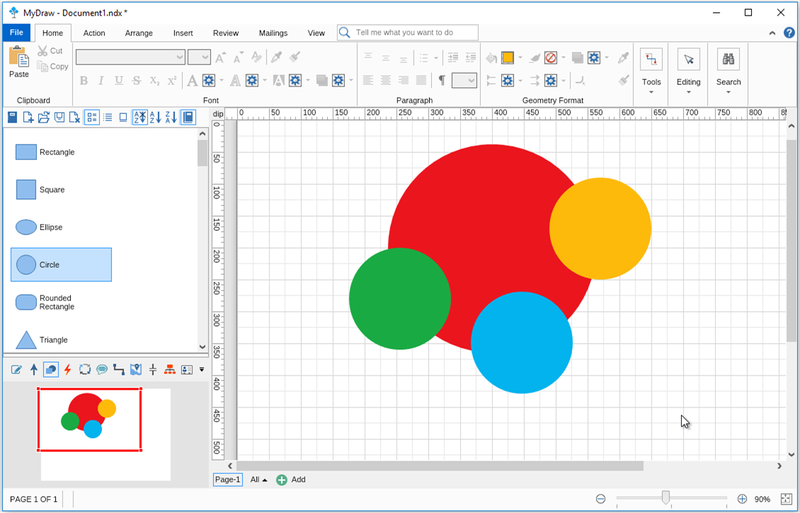 MyDraw is a powerful diagram designer with a large set of functionalities that allows you to arrange your shapes any way you like. 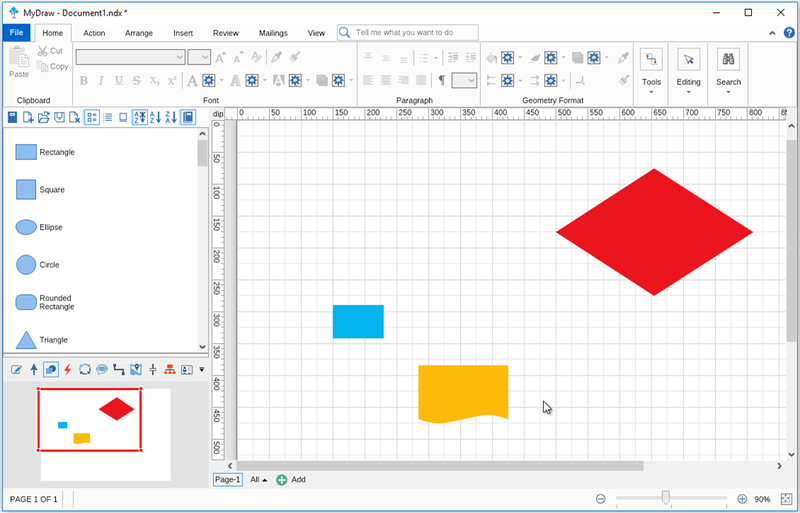 To make this kind of operations even easier the developers of MyDraw have created a differentiation between the shape, marked as Anchor (main) Shape and the rest of the selected shapes. What does the Anchor (main) Shape do? 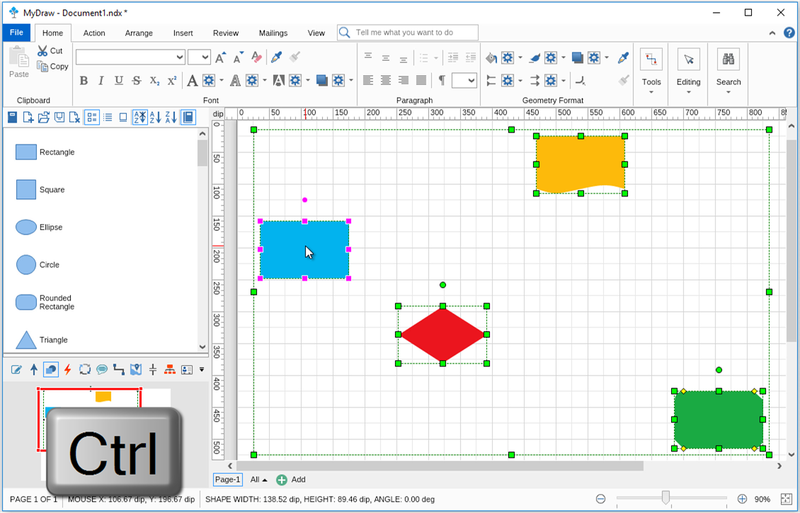 The Anchor (main) Shape’s position and size are used as a source of information by MyDraw and when you request an action (such as align or resize) to be completed, it is all done based on the Anchor (main) Shape. How to understand which one of all the shapes you have selected is considered the Anchor (main) Shape? This will be the shape surrounded by pink squares (all other shapes will have green squares when selected). Why do you need to know which is the Anchor (main) Shape? To apply this functionality you should make sure the shape you will be subtracting from is selected as a Anchor (main) Shape. If you don’t see pink squares around the desired shape, simply hold the Ctrl key and deselect it once and then select it again. If you try to subtract one shape from another and not have the correct Anchor (main) Shape selected, you’ll either get a wrong result or no result at all (depends on shape positioning). The Anchor (main) Shape functionality comes particularly handy when you try to align several shapes either horizontally or vertically. 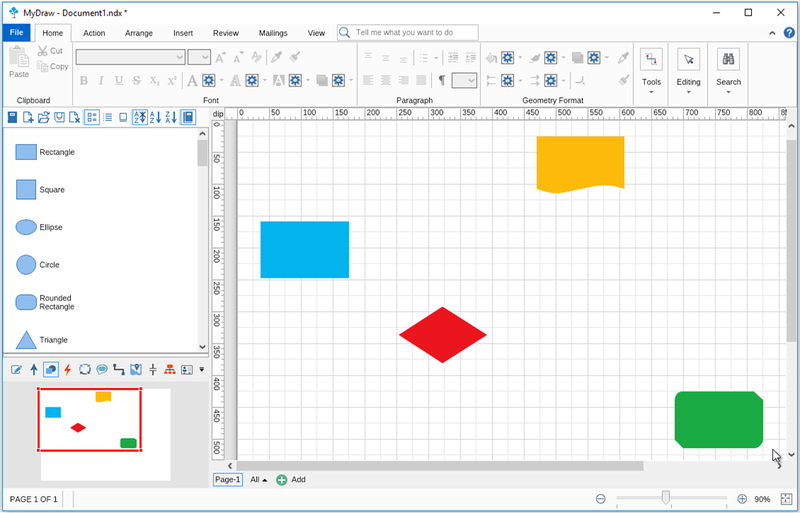 If you’re happy with the position of one specific shape in your diagram and you’d like to align all the rest of the shapes to this specific one, simply select it last (this will make it the Anchor (main) Shape). If you happen to have several shapes with different sizes and would like to make them all equal the Anchor (main) Shape functionality is a real life saver. Simply select the shape with the size you consider perfect last – this will make it the Anchor (main) Shape and all other shapes will convert to its size.